Flowers are the coolness to one’s eyes and to one’s nose. It makes every occasion special. Celebrating anniversary with flowers marks a long an interesting history. Back in the medieval period, the men of the Holy Roman Empire would surprise their wives with silver garlands and golden wreath to commemorate their marriages. Offering gifts to honor the most beautiful day on their lives is still a most popular and treasured anniversary gift. Anniversary gift in the form of flowers that convey a message of love are very much highly appreciated. Roses, Tulip, Orchid are among the much chosen flowers for these purposes. Personalizing gift your own way can take your anniversary milestone into next level of consideration. Having a good knowledge of flowers can do wonders in planning anniversary gifts. For first anniversary celebrations you can opt for beautiful Carnation, which represent strength and affection and tenth anniversary with gorgeous blooms like Daffodils which embody rebirth and new beginning. For the 25 th, anniversary Royal Iris could be the greatest choice representing hope and faith. Yellow Roses and Violets can match your golden 50 th anniversary. Likewise each anniversary can be specialized with flowers according to their needs and importance. Flowers can be made even more special by soul to soul connection between flower and your loved ones. If you love the idea of sending out anniversary flowers and just gliding through the classical route and opting for your milestone blossom, you need to find more personal. If your loved ones carries the name of a flower such as Jasmine, Daisy, Lily or Rose, you could arrange and send bouquet of matching blossoms. This would definitely make a great gift with a personal touch. This can care us your loved one with an unforgettable gift full of love, thought and unconditional care straight from your heart. Memories play a vital role in our life. Choosing a flower to represent a beautiful memory between the two of you can be a lifelong cherish-able moment. You could recreate your personal days again with your personally liked flowers whatever your memory maybe, picking out a flower that reminds your special moment is the key to a memorable gift. You can opt for an anniversary arrangement inspired by flower of choice, for a gift that is loaded with a celebratory feel and thoughtfulness. 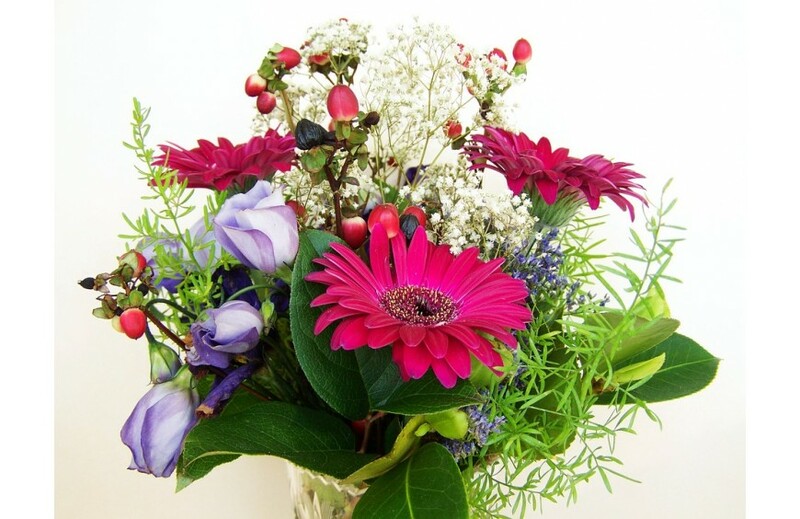 A great idea can be arranging a bouquet in one’s favorite colour. You could match the color the bouquet to the color of the dress worn on the special occasion. Picking a bouquet in her favourite shade is not only a hassle-free alternative but also a great way to make sure the gift will be truly adored and cherished.